The top-rated Sub Z Cam Cooler by Nash Sports is designed for the active hunter, fisherman or soccer mom user. 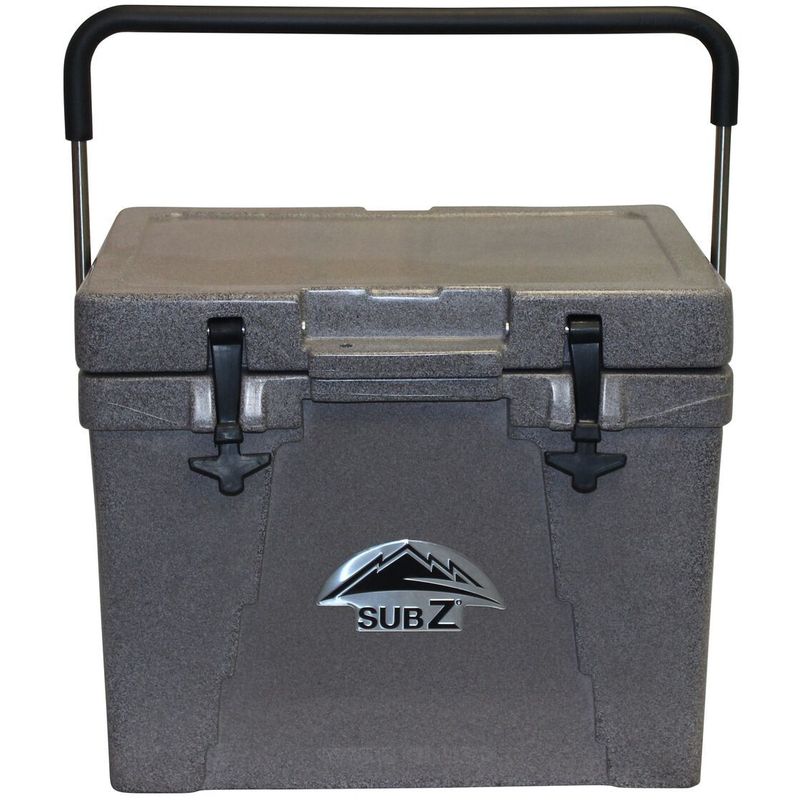 Built to last, this 23 quart capacity cooler features a double locking lid that incorporates the Artic Dome lid gasket for an industry leading tight seal. Rotational molded doubled walled PE shell with a 1.5" insulating foam core construction guarantees years of reliable service in all conditions. 30% lighter than the competition but keeps product just as cold and for extended periods of time. Stainless steel carry handle, oversized drain plug and non-skid feet are some of the added features that make this the cooler to have.